Misty Romero, 41, of Limington. A Limington woman was arrested Friday night after police say she nearly hit a police officer and crashed into six vehicles, including two from the Standish Fire Department. Misty Romero, 41, was charged with eluding an officer and operating under the influence after police chased her 2012 Dodge Ram truck for more than three miles from Standish into Gorham following the crashes, according to the Cumberland County Sheriff’s Office. Cumberland County dispatchers received reports about Romero’s erratic driving from another driver before they came to a stop at the intersection of routes 35 and 237 in Standish, where a Gorham police officer was assisting Cumberland County deputies with traffic control at the scene of a vehicle fire. When the Gorham officer was alerted and went to talk with her, Romero sped away, nearly hitting the officer and striking multiple vehicles including two Standish fire vehicles on the side of Route 35, according to the sheriff’s office. Romero fled the scene after losing the Dodge’s driver’s side front tire in the crash, the sheriff’s office said. 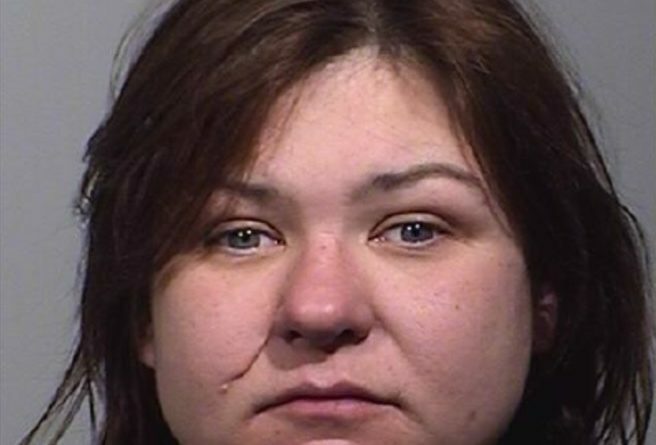 With sparks coming from the vehicle, Romero continued to drive at speeds between 40 and 85 mph with deputies chasing her for more than three miles before her car stopped on its own and she and her passenger were taken into custody, according to the sheriff’s office. Romero’s passenger was released with no charges.